Prime Minister Modi Has Praised Afghan President’s Bold Initiatives Towards The Peace: Prime Minister Narendra Modi today praised Afghanistan President Ashraf Ghani’s bold initiatives towards peace and expressed hope that it will be respected by all parties, referring to a ceasefire announced by the Afghan leader for Eid. 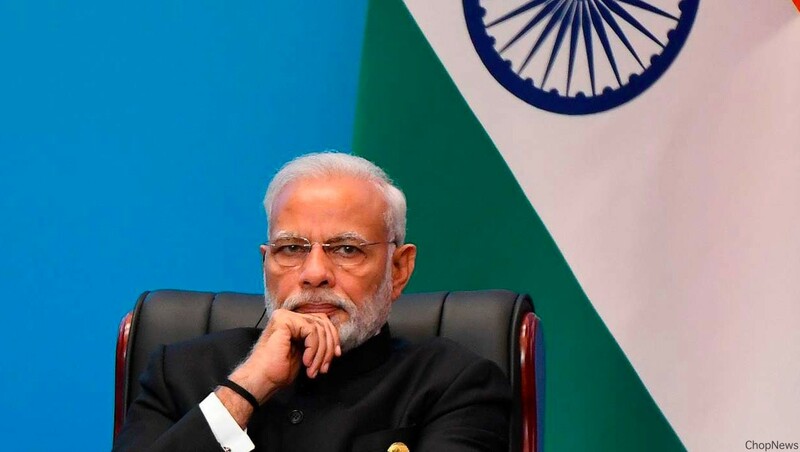 Speaking at the restricted session of the Shanghai Cooperation Organisation (SCO) Summit here, Prime Minister Modi also promised that India would play an active role in the contact group for an Afghanistan under the Shanghai Cooperation Organisation banner. Afghanistan is an unfortunate example of the effect of extremism and terrorism. I hope all parties will respect the bold initiatives towards peace taken by President Ghani, Modi said at the summit, also attended by Pakistan’s President Mamnoon Hussain. Modi was referring to the Afghan government’s surprise announcement of the week-long ceasefire with the Taliban for the eve of Eid. The ceasefire will be lasting from the 27th of Ramadan until the fifth day of the Eid-al-Fitr. President Ghani had tweeted last week, indicating it could run from June 12th to 19th. Responding to Ghani’s announcement, the Taliban yesterday announced the suspension of fighting for the first three days of Eid – the first ceasefire by the militant group in Afghanistan since the year 2001 United States invasions. India and China had agreed to undertake a joint economic project in an Afghanistan. They have decided to move forward in identifying a specific plan initially in the area of capacity building in Afghanistan. It will be a first such project in the war-torn country where China while trying to expand its influence, has tacitly backed Pakistan, which has been accused by Afghanistan and the United States of supporting the Taliban and its most violent attacks in the country destabilising any attempts to restore peace. Since the year 2002, India has committed USD 2 billion to the socio-economic rebuilding of war-torn Afghanistan. So, these are the points to describes on Prime Minister Modi praises Afghan President’s bold initiatives towards the peace. Please suggest your viewpoints on the Article as mentioned above.